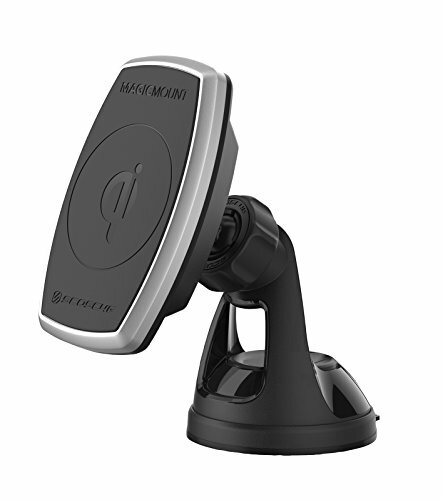 Quick, Convenient and Hands-Free; the MagicMount is a new magnetic mounting system for conveniently mounting your smart phone and devices to the dashboard in your car, truck, boat or RV. Lock your smart device in place with this Scosche dash mount featuring a 4-Axis adjustable angle ball joint neck with lock for mounting in portrait or landscape orientation for optimal viewing from any seat. The integrated cable clip let you neatly connect your cables to the back of the mount keeping cables out of the way. Its cradle-free design eliminates the need to tighten around your device, just hover your device near the magnetic surface and it instantly locks securely in place. These powerful neodymium magnets hold your phone and device securely in place even on the bumpiest roads and are 100% safe. Full wireless compatibility: with the proper MagicPlate placement on your iPhone, Android smartphone or other Qi-compatible devices without any interference with your existing wireless charger. The low-profile mount safely attaches to your dashboard using the automotive grade adhesive ensuring for optimal mounting. The magnetic connection allows you to rotate seamlessly between portrait and landscape orientation in a snap. 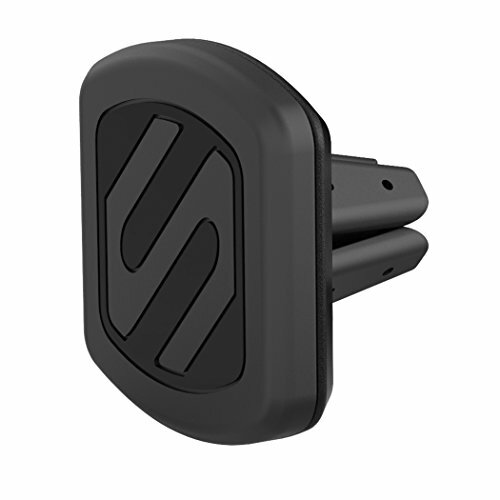 Quick, Convenient and Hands-Free; The versatile IHW10 STUCKUP 4-in-1 universal mount kit is perfect for conveniently mounting your smartphone or mobile device in the car, home or office. The removable vent clips make it easy to switch the mount from one vehicle to another. 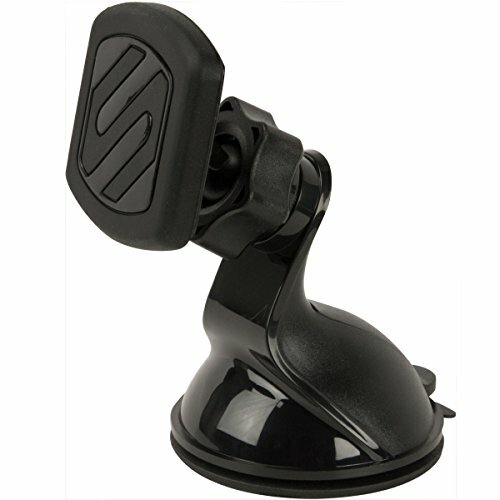 The suction cup mount works great on windows or for use on your vehicles dash, cup holder, console or any flat surface when used with the included adhesive mounting disc. 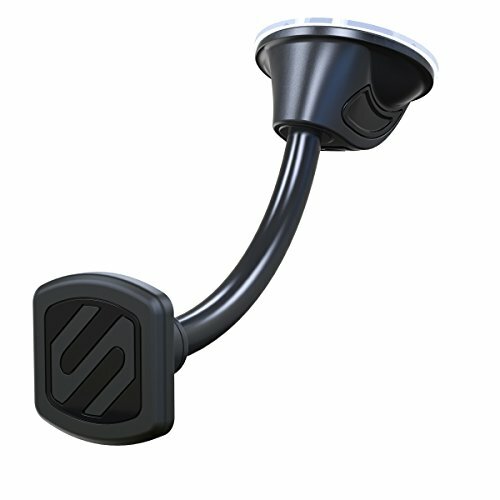 The strong suction cup base is reusable which makes it easy to move from one location to another. The vent clips attach to both small and large sized louvers. The 360-degree design allows you to rotate seamlessly between portrait and landscape orientation in a snap. Securing your device is easy: just place it between the adjustable arms and use the convenient push button to lock the phone in place. To remove your phone just press the button to release the arms. The arms adjust to accommodate any device, up to 4” wide. With just a simple push of the button, quickly release your device from the mount with the quick release button. It is now the law in many states that you must have your smartphone mounted in your vehicle while driving. 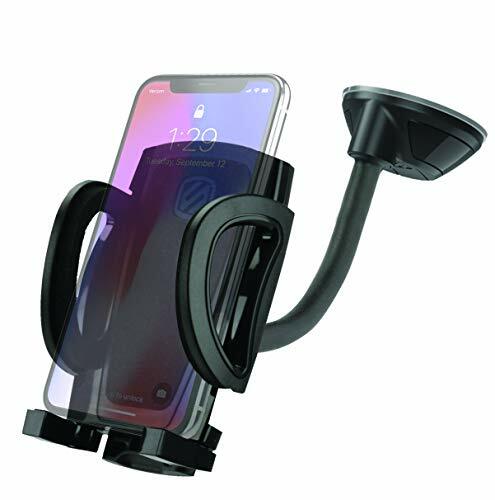 Quick, Convenient and Hands-Free; the MagicMount is a magnetic mounting system for conveniently mounting your smartphone and other mobile devices to your windshield for ideal hands-free driving. It can be applied securely using the automotive grade adhesive and the StickGrip suction base to any flat surface in your car, boat, truck, RV, or in your home or office that you use your device most. Its cradle-free design eliminates the need to tighten around your device, just hover your device near the magnetic surface and it instantly locks securely in place. The powerful N35 neodymium magnets hold your phone and device securely in place even on the bumpiest roads and are 100% safe for smartphones and other mobile devices. Full wireless compatibility: with the proper MagicPlate placement on your iPhone, Android smartphone or other Qi-compatible devices without any interference with your existing wireless charger. The magnetic connection allows you to rotate seamlessly between portrait and landscape orientation in a snap. Includes protective film for easy mounting and removal of the metal plates without damaging your phone. Use the flexible neck to perfectly position your devices view during talking, navigating, or even playing music! 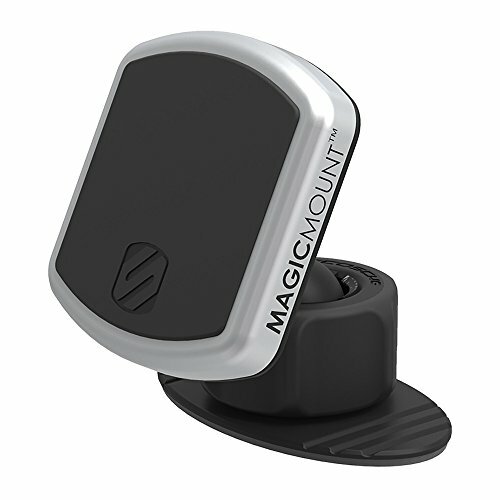 Quick, Convenient and Hands-Free; the MagicMount is a new magnetic mounting system for conveniently mounting your smartphone and devices to the dashboard or windshield in your car, truck, boat or RV. 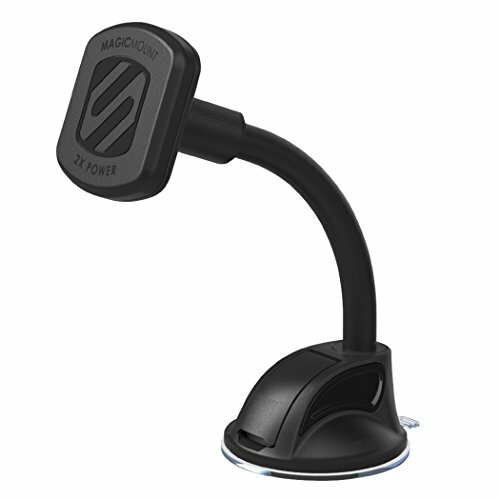 Lock your smart device in place with the Scosche StickGrip suction dash mount featuring a 4-Axis adjustable angle with lock for optimal viewing from any seat. The integrated cable clip lets you neatly connect your cables to the back of the mount keeping cables out of the way. Its cradle-free design eliminates the need to tighten around your device, just hover your device near the magnetic surface and it instantly locks securely in place. These powerful N35 neodymium magnets hold your phone and device securely in place even on the bumpiest roads and are 100% safe for all modern smart phones and devices. 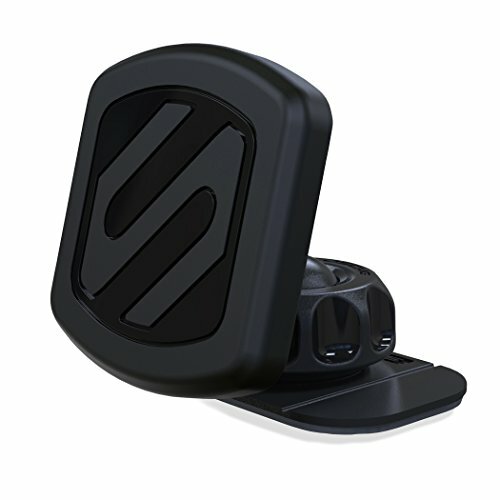 The low-profile mount safely attaches to your dashboard using the StickGrip suction cup base and can adhere to your windshield, windows, kitchen countertops and many other non-porous surfaces. The easy install and dismantling allow you to take it anywhere you need your phone and mount most. 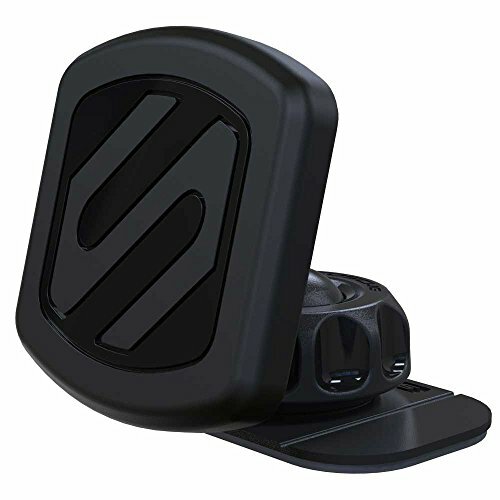 Compare prices on Scosche Dash Mount at LiveSaler.com – use promo codes and coupons for best offers and deals. We work hard to get you amazing deals and collect all avail hot offers online and represent it in one place for the customers. Now our visitors can leverage benefits of big brands and heavy discounts available for that day and for famous brands. We try to makes comparison shopping easy with Product Reviews, Merchant Ratings, Deal Alerts & Coupons. Find Deals, Compare Prices, Read Reviews & Save Money.